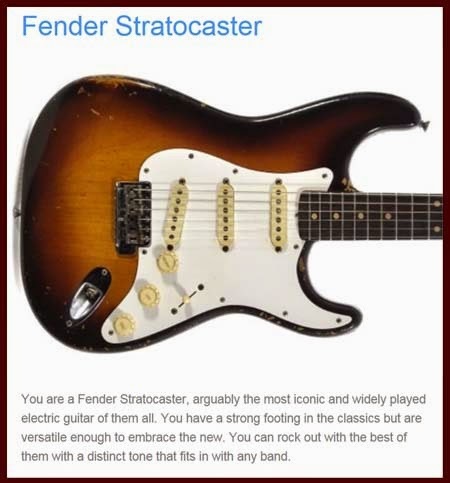 RHYTHM OF THE NEEDLES: Which Classic Guitar Are You? You are a Gibson ES-335, a Jazz cat through and through. You churn out rich, warm tones and are happy to vamp on a rhythm part while your horn player goes for that 8 minute solo. You can definitely swing with the rock crowd when you need, but most of the time you're too classy for that sort of thing. It was fun to do the quiz, Thank you for posting it. Long ago, I took Classical Guitar lessons, and I have, I think is a Yamaha guitar, and another one that can't remember the brand.